Children are creative by nature and will play with something they have made themselves. Making a construction paper beak is a good craft project to go along with a school lesson or just as a creative session on a rainy day. Teaching children to make a bird beak mask out of construction paper will help them learn about birds as part of a school lesson and will also give them a toy to play with. 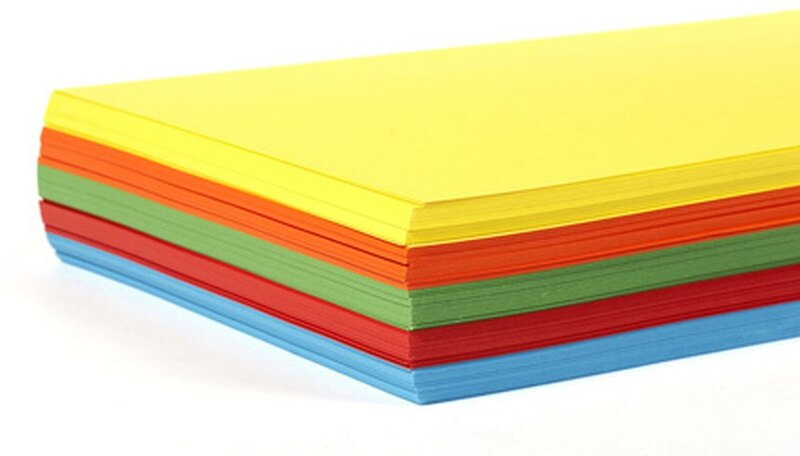 Fold one corner of a sheet of orange or yellow construction paper to the opposite side, matching up the edges evenly. You should have a triangular flap and about 2 inches of paper sticking out from the bottom on one side. Cut off the 2 inches of paper that sticks out from the triangle. Unfold the triangle from bottom to top so that it looks like a diamond shape with a horizontal crease through the middle. Put glue along two bottom edges of the diamond. Fold the triangle down along the crease again and press the edges together. Let the glue dry for a few minutes. Fold the triangle in half from left to right. Crease well and unfold the paper. Make sure the crease forms a peak and the top edge of the triangle is still the folded edge. Fold the top edge of the triangle down about 1/2 inch. Crease well. Punch a hole in both sides of the triangle under the small flap you just made. Pre-cut and hole-punch the square of paper and string for younger children. Have kids decorate their beak masks with crayons or markers. This project can be used to encourage children to use their imagination in making up games in which they pretend they are birds. Make sure children are capable enough to use scissors and hole punches.